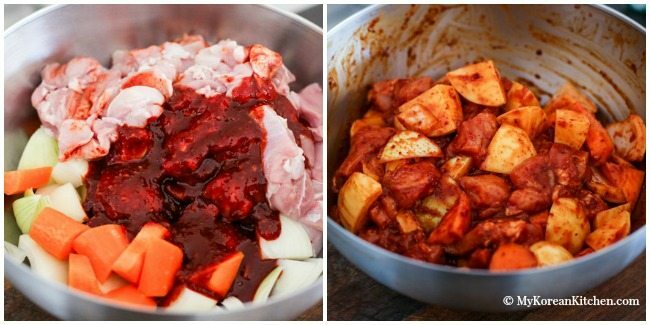 Korean spicy braised chicken and potatoes (Dakdoritang) made in a slow cooker! Super easy and so comforting! Do you like chicken? I do. I love it. Chicken is my favourite source of protein. And, I particularly love spicy chicken. 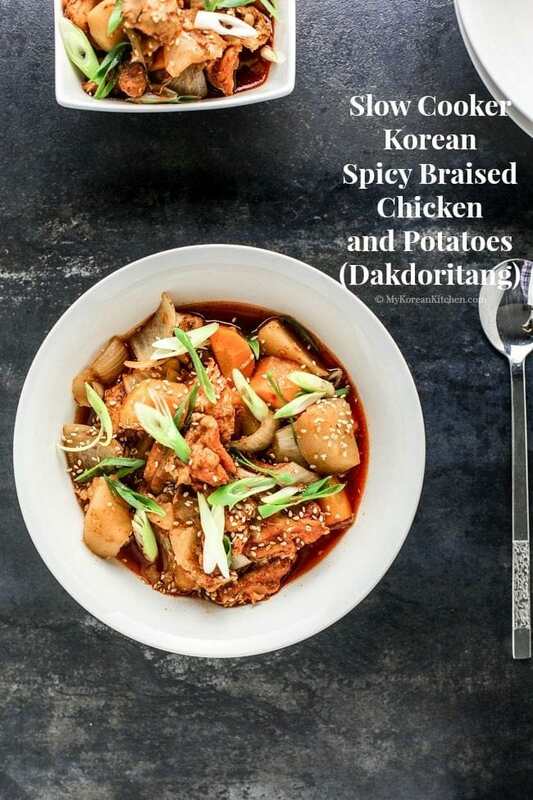 When I am busy and don’t know what to cook for the day, I often turn to one of my favourite spicy chicken recipes – Korean spicy braised chicken and potatoes (aka Dakdoritang, 닭도리탕 or Dakbokkeumtang, 닭볶음탕). Typically it is cooked in a deep sauce pan or a braising pot on the stove. (check the recipe here!) However, in today’s recipe I used a slow cooker instead to ease my labor. But obviously, this method will take longer. Though, it’s very simple to prepare and the stew is very comforting when the days are colder. I’ve been secretly enjoying this every weekend for the last couple of weeks and now I’m ready to share my recipe with you. I hope you try this recipe soon and let me know what you think of it! 2. Put the marinated vegetables and chicken in a slow cooker. 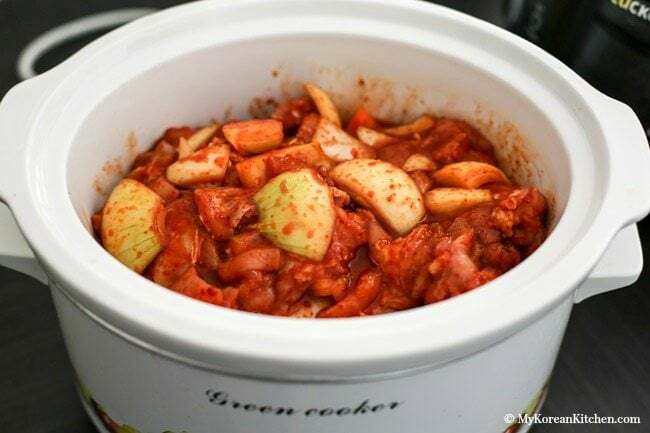 (Lay the potato and carrot in the bottom of the slow cooker followed by the chicken and onion if possible. This is to ensure that the potatoes and carrots cook properly.) Close the lid. Cook it on a low heat setting for 4 hrs. 4. 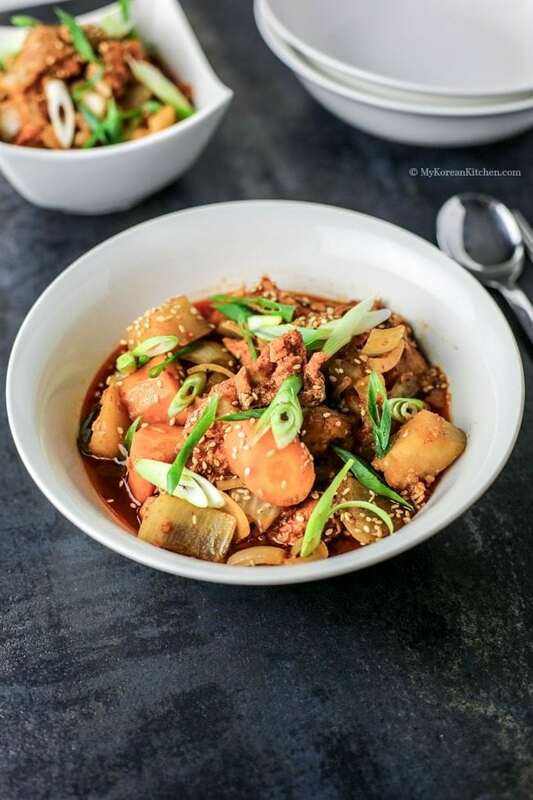 Serve it in a soup bowl and garnish with green onion and sesame seeds. You could use other parts of chicken but I don’t recommend using chicken breast as they tend to get drier. Also, if you are using the chicken with bones, you might need to cook a bit longer. 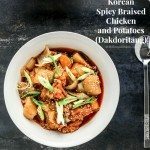 Korean style spicy braised chicken and potatoes (Dakdoritang) recipe. Put the marinated vegetables and chicken in a slow cooker. (Lay the potato and carrot in the bottom of the slow cooker followed by the chicken and onion if possible. This is to ensure that the potatoes and carrots cook properly.) Close the lid. Cook it on a low heat setting for 4 hrs. Serve it in a soup bowl and garnish with spring onion and sesame seeds. Made this tonight and it was so good! I love gochujang and am always looking for things to add it to, this was great. I was worried from the comments that it would be too dry, but it turned out perfectly, right amount of sauce after cooking at the bottom of the crockpot. Thank you, Sue! I am adding this to favorite winter time meals! Hi Meredith, That’s so great to hear! Also, if you love using gochujang, check this link. 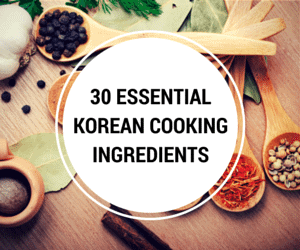 It’s a collection of recipes using gochujang. 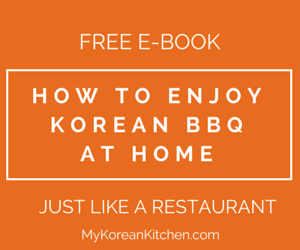 https://mykoreankitchen.com/tag/gochujang/ Enjoy! Made this last night, was great!! I had to cook it a bit longer on the stove to soften the potatoes (I used new potatoes). Will definitely be cooking this often. Thank you! I’m in love with Gochujang and also love to use my slow cooker at least once a week so looking forward to trying this. Hope you like it, Sue! Enjoy! Hi i tried this in the slow cooker but it came out extremely dry. I even added a 1/2 cup of water to the pot before turning on. Hi Maria, That’s unfortunate. I wonder why… Did you add also more ingredients (other than the water you mentioned) than mine? I will try to make this soon again and see whether I need to clarify more in the recipe. Thanks! Hi Maria, I just made this today. All ingredients were exactly same as the above recipe (no added water), but I decided to cook it for only 4 hrs on low heat instead of 8 hrs. It wasn’t dry! Though it looked dry from the top but there was lots of juice hidden underneath of the meat. (I think chicken breast or thigh has a tendency to look dry). I’m still in the process of improving this recipe. – I want it to be spicier! Anyway, I will let you know once I update this recipe again. Thanks! Hi Maria, I updated my recipe. Please check the post above. How can I make this dish more ‘wet’? Should I just double the sauces or add chicken broth? Is this a pretty dry dish? It doesnt look like it has a lot of liquid left over since the stuff looks a bit dry… just asking, cause it sounds good but just making sure. Hi Sue! Thanks for the recipe. Are there any recommendations for modifying the recipe to suit kids that aren’t huge fans of spicy dishes? Just lessen the Gochujang? I love dakdoritang! I’ve never thought about doing it in the slow cooker, though it makes total sense. Your recipe looks really similar to the one that I do from inside-my-head, haha. Will def try to adapt some of my Korean recipes to the slow cooker! 🙂 I’m trying to use a slow cooker for Korean meal as much as possible. It’s super convenient. 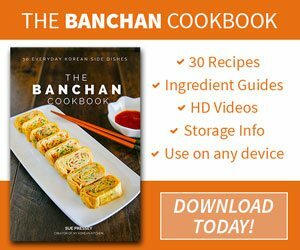 I would love to see your version of Korean recipes in a slow cooker! I read your post but just like you busy life….haha I have 3 over here on Spring break! Thankfully it’s last day today so I can focus more of work. Looks like your baby is growing up beautifully, and keeping you busy hehe…welcome to motherhood, it is pretty overwhelming from time to time! Love your slow cooked chicken and potatoes…the best combo! Total yumminess and my kind of dish! I hope you have great Spring! Hi Sue, your spicy braised chicken and potatoes sure looks yummy. Best go with plain rice. Thanks for sharing. Thanks Veronica! Yes, it goes very well with steamed rice. Give it a try!